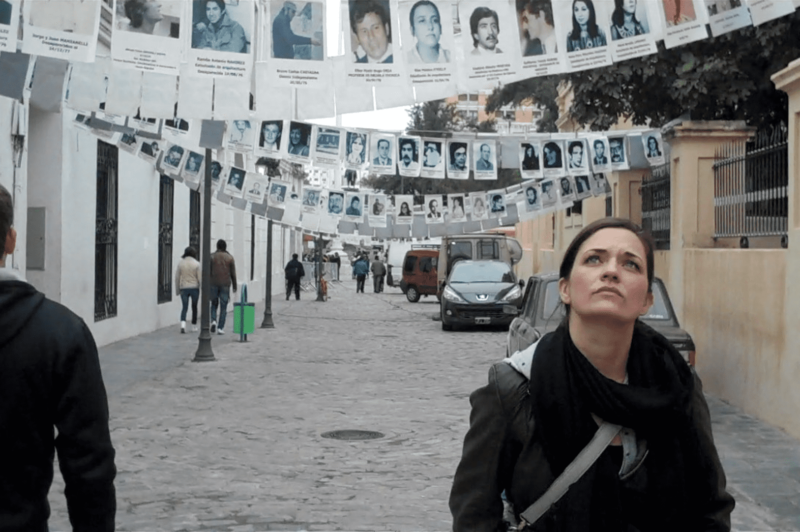 This gripping documentary follows a young woman on her journey to Argentina as she tries to piece together the enigmatic disappearance of the woman she was named after — one of the 30,000 people who disappeared during Argentina’s last military dictatorship. Part scavenger hunt, part self-discovery, “Finding Mabel” weaves Argentina’s recent dark past with today’s polarizing struggle for justice. The screening of the 57-minute film will be followed by a talk back conversation with director Eileen Abarrca and Argentine educator and former political prisoner Nestor Fantini about the legacy and impact of those who disappeared. Eileen Abarrca is a first generation Argentine-American, born and raised in the San Francisco Bay Area. She received her B.A in Philosophy and Spanish Literature from UCLA and her MFA from The Actors Studio Drama School in NYC. Finding Mabel marks Eileen’s debut as a writer/director. Eileen now resides in Los Angeles with her husband and co-producer Garrett Vander Leun, where they are both pursuing careers in entertainment. Nestor Fantini is an Argentine former political prisoner, who was adopted by Amnesty International as a prisoner of conscience during Argentina’s “Dirty War.” He currently resides in the U.S. where he retired as a professor of sociology.